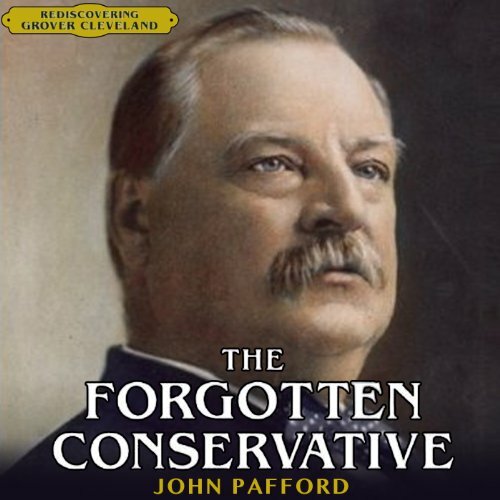 Historian and writer John Pafford's The Forgotten Conservative: Rediscovering Grover Cleveland is a straightforward, highly informative attempt to reexamine one of America's most inexplicably overlooked presidents. The aptly-named Grover Gardner's performance of this well-organized historical survey is well suited to the text, and his measured, highly articulate style serves to emphasize both Pafford's strong writing and Cleveland's oft-forgotten strength as a two-term president during some of America's most trying years. 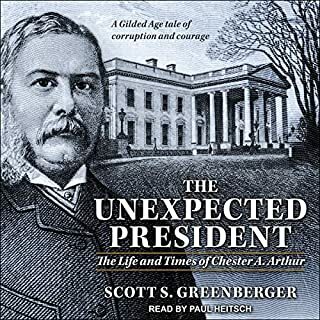 History buffs will find this comprehensive and engaging audiobook well worth a listen, and a fine addition to the pantheon of work about the US presidency. ©2013 John M. Pafford (P)2013 Audible, Inc. This short biography is much like Cleveland himself: conservative, earnest, and solid, but by no means spectacular. 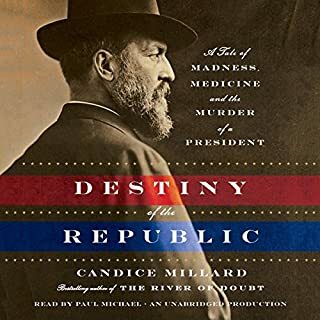 Great biography about a mostly forgotten president and fascinating man with an excellent synopsis of the big issues of the late 19th century. 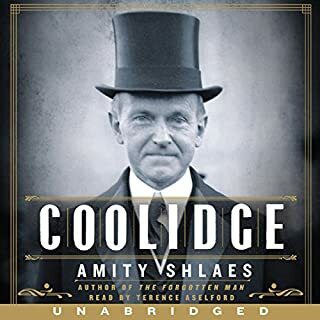 What did you like best about The Forgotten Conservative? What did you like least? I am not a Cleveland scholar, but the book appears to be well-researched and does a good job of avoiding extrapolating from the known facts (for example about whether or not Cleveland fathered a child out of wedlock). I appreciate the well-crafted sentences and paragraphs which flow well. I do not appreciate the intrusion of the authors' politics. This book will certainly play well on Fox News. 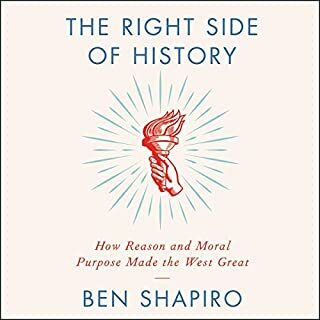 Right or left, I prefer that biographers write a book about the person, rather than craft a biography upon which to hang their own political ideas. I do not care about the author's political views and found their frequent intrusion into the story annoying. Would you recommend The Forgotten Conservative to your friends? Why or why not? I would not recommend the book unless I find that other authors deal with the Cleveland life and administration poorly. His narration is clear and his diction excellent. What else would you have wanted to know about John Pafford’s life? What could John Pafford have done to make this a more enjoyable book for you? The author tells a very bland and disjointed story. It reads like a Wikipedia article more than a thoughtfully composed narrative. There are interesting side notes throughout, but the author fails to make you feel you “know” Cleveland and you get a very flat picture of the time he lived without any nuance or color. An example of this is the author begins to tell about the struggle for women’s rights and you just know there is an interesting story here, but then the author moves off into inconsequential territory. I was genuinely looking forward to this book. It’s about a man and a period of American history that is often overlooked and I was looking forward to the seeing the period through this man. Unfortunately the book fails as both a history and a story. As a history it’s little more than a casual reciting of events with little or no analysis. It’s definitely a political history, with little social history unless it bears on religion or economic history except as it impacts political events. 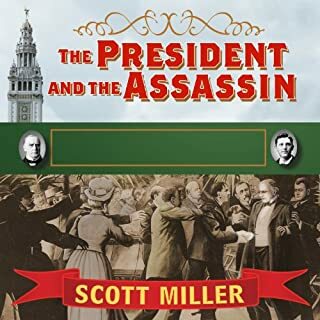 The author almost completely ignores the major formative period of Cleveland’s life, his time as mayor of Buffalo, gives it a very cursory overview and make little attempt to connect Cleveland’s experiences as mayor to his later actions as President. This lack of depth is present in the coverage of his time as governor and generally throughout the book. Space could not have been an issue because the author makes time to narrate meaningless information such as the details of the 1884 nominating balloting. The politics of Cleveland’s presidency are recited, but again there is a noticeable lack of depth. Just when the author gets you interested in learning more, he cuts the narrative off, sacrificing depth and without any meaningful analysis. The author spends more time discussing the leadership of the Vanderbilt railroads than he does on Native American relations. 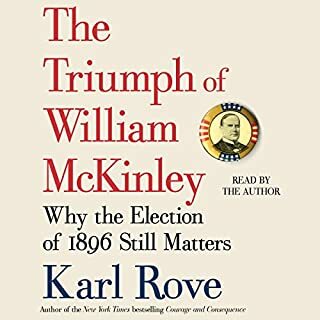 As a narrative political history, the contests of 1888 and 1892 and the events around them would have been a great place for the author to center a meaningful discussion, even a platform for the entire book to grow out of, but the author gives the same flat “matter of fact” style surface survey of the events that is the found throughout the book. Again space couldn’t have been a factor because the author makes room for meaningless facts such as the composition of Congress and a survey of cabinet members in the administration. The objectivity of the book as a history is questionable. The author tends to omit information that would reflect negatively on Cleveland, except in the places where it serves the political point of view of the author. For example the author omits any discussion on the causes of the depression of 1893, but takes the time to discuss the treatment of Cleveland’s oral cancer taking place around the same time. While Cleveland’s cancer doesn’t impact on history in any real way, the depression of 1893 was the most severe depression up to this time. In other cases the author omits any discussion of alternate points of view or dismisses them with pejorative comments while praising others without explanation. Coxey's Army is basically branded as a greedy ignorant mob while Chief Justice Fuller is praised without exception even to the point of practically ignoring the landmark case of Plessy v. Ferguson. Over the last year, I've read 25 biographies, and this was the worst. The primary issue is that no attempt at objectivity was made. The author has made his opinions and politics abundantly clear, and leaves out any explanation of value statements on the apparent assumption the reader already agrees with his statements of any decision being good or bad. The narrative went between awkwardly conversational and sounding, as another reviewer stated, like a Wikipedia article. I will definitely be advising others to find a different biography of President Cleveland.